Should be a new experience for ya. The paint thing is freaking me out though. I have something similar. I built a play bike with a 6.5 pounds frame, 24" 2.6" tires, some 780mm bars, single speed, rigid fork, and a seat post with more adjustment range than anything I've seen elsewhere. The bike ended up brutally heavy, but good fun. Would I ride it in a hilly area, hell no, but for playing around it's great, and it's virtually unbreakable. What sort of tubes is yours made of? They call it proprietary, but it's 4130 chromoly steel. Hawg, I dont like to be the bearer of bad news but: Coincidentally there is a current thread over on that other site about that same frame cracking and bad customer service with the warranty. Thanks for sharing this but it's not a deterrent. Funny how people react to bad news. Why is it only the bad news that anyone ever notices? Imagine how many good news reports there are in comparison. Aside from that I fully except that failure is always an option. I bought it second hand from a private party for a deeply discounted price so if it were to break, I can either buy a new one or rebuild any number of frames I have in storage. You trolled me, I bite your arm off. To give information is to troll? I better go back into my proper posting forum handbook for a review. I control information. Stop acting innocent. You chose to post one piece of negative info. You failed to include the dozens and dozens of posts by other owners of that particular bike frame who have lots of praise for it. You targeted me, clearly. What was I supposed to do, ignore it? Of course not, you trolled me. DUH! 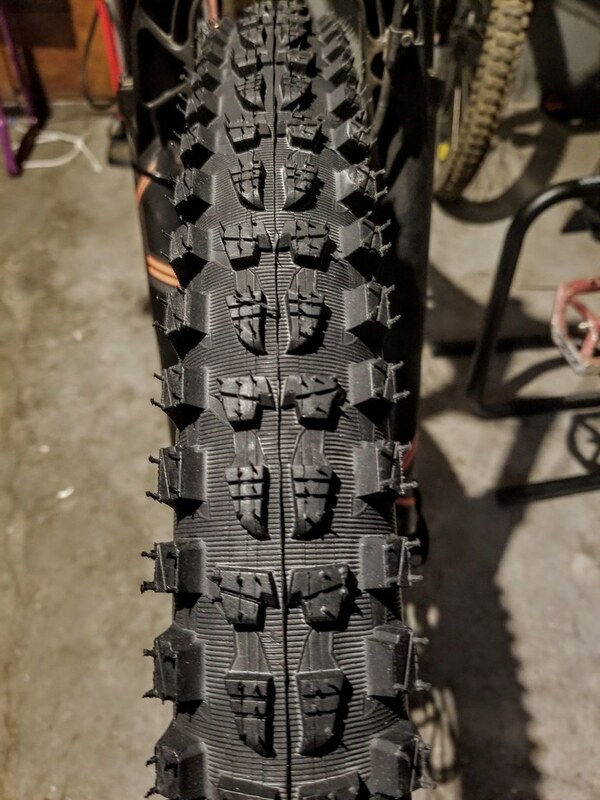 How about some new rubber for a change? Are you serious right now? I simply posted a thread and a post from the OP of that thread describing the issues he’s had and why he started the thread. It was out of concern and friendship I did that. By no means was it meant as a troll post. You posted your new frame and just by coincidence and after the fact I realized this thread was about the same frame you picked. If the tables were turned and I was in your shoes I’d expect the same from a friend to inform me of what he came across positive or negative. And instead of accusing him of trolling I’d be thanking him for the “information” he relayed. That's where we differ. I wouldn't post anything negative about something that is new to a friend. That would only put doubts in that friend's mind. I believe in "what you don't know won't kill you and what you do know could kill you". Or, "some things are better left unsaid". If a day were to come that a frame failure did occur, then I would say something like, "I once read about that happening to someone else, too.". I aplogise for that, I should have told you about it in private. And that’s also where we differ, I apologize when I feel I’m in the wrong. My hopes were to catch you before the purchase. But it sounds like I was too late and you got a great deal anyways. Let’s just call it what it is. One friend informing another friend of some important information and the other friend taking it off the cliff. Sounds good. Now, please get the trampoline set up at the bottom of the cliff. I'm about to jump. I've got everything I need to build the new rig now. The dropper showed up today. I'm gonna protective tape the shyte out of this frame. My Timberjack got pretty scratched up over the past several months. That was totally avoidable and I am a bit bummed about it. I'll wait to to built her until after I return from Big Bear this coming weekend. New toy acquired last week, building it up for a spin tomorrow. You are a crazy gentleman. Can we see the size of your legs, too? Here's my new toy, new air spring assembly for the MRP Stage. That should be interesting, what are the promised benefits? Wow, a 56 tooth?! Share pics when it's done! Heh, I am sure you would find an audience that likes it au naturel. The promised benefit is, the new spring is simpler, with less stiction, and without leaking air from negative to positive chamber all the time. I see no reason why the first assembly should be leaking. Have you checked the inner surface of the upper leg of the fork? If that seems fine, have you checked the O-rings? There is a crazy magnetic check valve at the top of the piston head that is nothing but trouble. MRP themselves moved away from this design after one year because of reliability issues. You basically had to pump the fork through the negative chamber, some air would leak intentionally to the positive chamber through the valve, but then you'd have to pull the fork apart to equalize air pressure in the two chambers. I don't know what exactly was happening with mine but the negative chamber would frequently lose air which made the fork feel terrible. MRP suggested to move to the new design, I resisted for about 6 months but then gave up. OK, like that, it's simply originally a flawed design. I thought it had gone bad over time.